Great business coaching can be transformative for both individuals and organisations. These six facts demonstrate why it is such an important investment for a company. 1. Business coaching offers benefits that go beyond the workplace and encompass personal development and work-life balance. When a Business Coach develops skills like communication, goal-setting and delegating, those skills can be applied in other areas of a person’s life. Furthermore, by teaching people to work more effectively and efficiently, time is freed up in other areas for family and outside interests. 2. Engaging a business coach is not something that is only done when a company is in crisis. In fact, many executives and companies regularly use a business coach in the same way they might have an accountant, an attorney and other professionals who fulfil specific roles for the company. Business coaches can help keep people on track with their professional goals, facilitate communication between business partners and ensure that problems are dealt with before they become more serious. 3. Business coaching over the phone or with Skype may be more effective than in-person meetings. People may think they have to work with a coach who is local or schedule in-person meetings, but surprisingly, some research supports the idea that coaching can actually be more effective over Skype. Doing so appears to increase motivation and eliminate distractions that may exist in face-to-face meetings. 4. Somewhere between a quarter and nearly one-half of all Fortune 500 companies use business coaches. This indicates that companies at every level from the smallest businesses to the largest corporations can benefit from business coaching, and they recognise this fact as well. Study after study demonstrates a sizeable ROI from business coaching, and almost unanimously, clients consistently report satisfaction with their coaching experience. 5. Business coaching can benefit people at all skill and experience levels. Great business coaches adapt their approaches to the needs of the client. Someone who has been in the business world for twenty years can be helped just as someone who is getting started can be. In the former example, the business coach may work on things such as examining whether there is a gap between goals and actions or asking the client questions to inspire new ideas. In the latter example, a coach might work with the client on putting together a business plan and communicating their vision for the business. 6. Finding the right coach is important. There is no regulatory body for business coaches, so word-of-mouth recommendations from colleagues can be helpful. Who that right coach is may come as a surprise. Business coaches do not necessarily need to have expertise in the particular area of a client’s business in order to be effective. The skills a business coach develops are applicable across industries, and one who is not entrenched in a client’s particular area of specialisation might be able to bring a fresh perspective to the business that an industry veteran would not have. Business coaching can build a strong foundation for a new business and take an established business in exciting and innovative directions. Tim Meagher is a professional business coach with over 40 years experience and can help you to develop your business, Learn More About Tim. 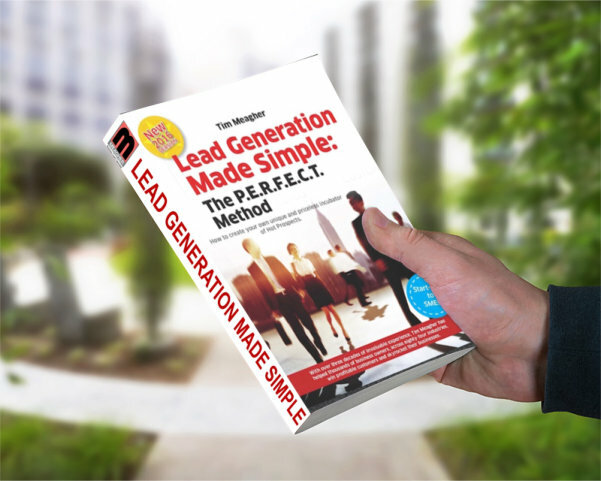 You may also be interested in downloading a FREE copy of our Lead Generation Made Simple Ebook. Click on the image below to download your FREE copy today! Small and medium enterprises have different needs compared to larger enterprises. One challenge these types of businesses tend to face is that due to their size, their owners and sometimes their employees must often wear multiple hats. This can result in short-sightedness and burnout even among the most talented entrepreneurs and employees. A Business Coach working in these environments can help SMEs get back on track toward long-term growth. Business coaching builds efficiency. Owners of SMEs may be working in a reactive mode that simply does not provide the time needed to examine and streamline processes even though doing so is ultimately in the business’s best interest. A business coach with experience in the industry can help SMEs identify areas where time management can be improved and processes can be made more efficient in the long run. With more efficiency at every level of operation, an SME is better poised to expand. 2. Business coaching helps owners prioritise. Running a small or medium-sized business can be overwhelming, and business owners may lack the time to sit down and examine what needs to be done most urgently. Business coaches can work with owners to identify a business’s most pressing needs and what is needed to foster growth as well as helping owners develop the skills to prioritise on their own. 3. Business coaching can offer valuable consultancy and problem-solving when staff numbers are small. Particularly in the early days of an SME, the company may be operating with minimal resources including few employees. A good business coach can bring a wealth of experience to challenges the company is facing and act in a consultancy role to shore up the knowledge areas where staff may be stretched thin or less experienced. This expertise can help facilitate a business’s growth. 4. Business coaches can provide expertise in running a small business. The owner of an SME may have never run a business before, and in these circumstances, a business coach’s experience can be helpful both in establishing and growing the company. 5. Business coaching can assist in building a medium and long-range growth plan. Owners of SMEs may simply feel they are too busy to sit down and make longer-range plans for the company’s growth while partners in business may struggle to find time to talk to one another about the direction they would like the company to take. A business coach can help facilitate these conversations and these plans. 6. Business coaching can identify and develop leaders within SMEs. SME owners are not the only ones who can benefit from business coaches; their employees may as well, and in turn, those employees will become more valuable to the SME. In fact, business owners can identify the most valuable employees in terms of leadership and work with them to develop those skills in a way that will create more growth for the company. A great Business Coach can bring a mix of skills to an SME from general business experience to more specific industry experience to operating in a kind of counselling role to business owners and employees. Many SMEs find that they benefit from maintaining an ongoing relationship with a business coach who is familiar with their business and their needs and can respond in a dynamic fashion to a company as it grows. 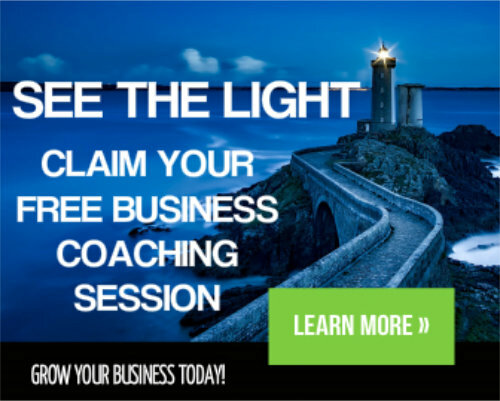 By helping businesses become more efficient and helping owners prioritise, by working with owners to set goals and plan for growth, and by helping to identify and develop employees who can be key to a business’s success, a business coach can make a critical difference in the expansion of a small, ambitious company.